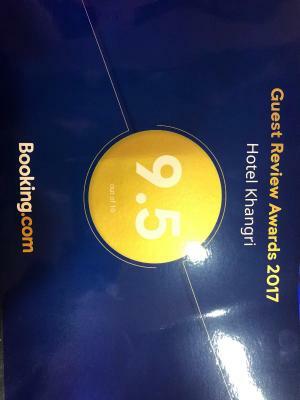 Lock in a great price for Hotel Khangri – rated 9 by recent guests! The staff was incredibly accomodating. 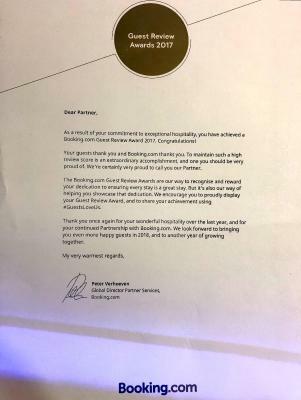 I made a mistake when I first booked and they responded so quickly to let me change them. The food was delicious and the beds are really comfy. 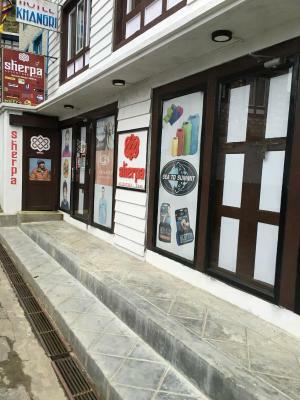 The location in Namche is very central to cafes and shops. It’s a family owned business and very clean. The blankets provided in the beds are really warm. 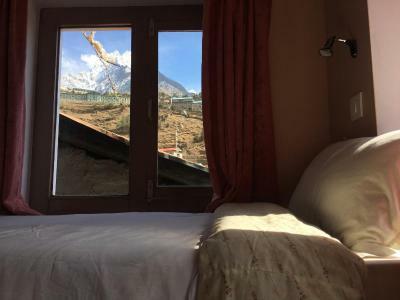 This is an amazing place for two nights in Namche and a great rest place for your second acclimization day. Can’t recommend t enough. +Centrally located with free wifi and charging facilities. Delicious food especially the everest burger! 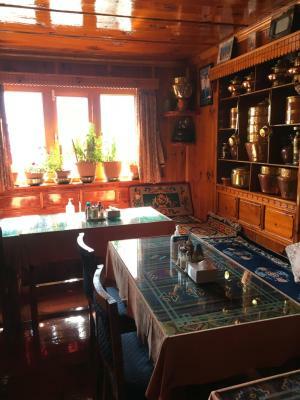 Warm rooms and the dining area has a fireplace which kept me very warm at low temperatures in Namche. Common toilets even though shared were very clean everytime. 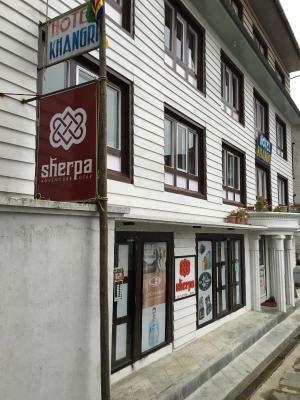 We stayed here at the beginning and end of three weeks of hiking in the Everest region. After weeks in teahouses, this place is heaven. The shower is hot and the rooms are warm. 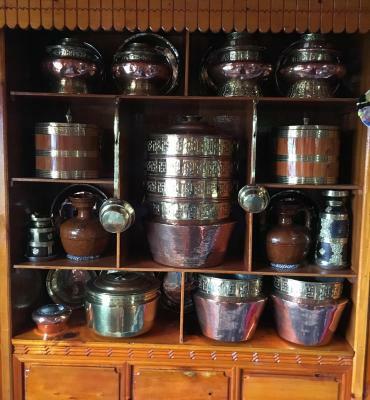 Everything is clean and the service is a very high standard. Towels, ensuite and free charging of devices available in your room. 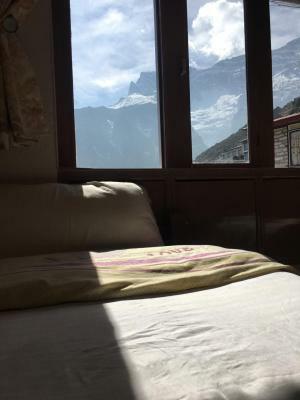 Our favorite place in the Everest region. 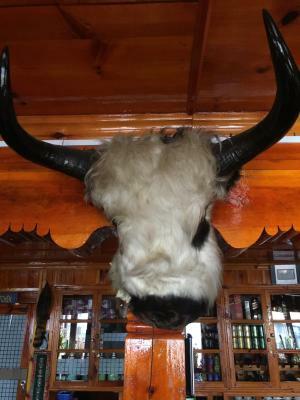 The hotel is centrally located, has great food, and good price. Best of all, they had free wifi and free electronics charging, we even had an outlet in our room. The hot shower was actually hot (unlike many tea houses). Wonderful staff, check in was easy, food was great, and the rooms were clean with free charging and wifi - would stay again! The most quiet and peaceful place for the entire track to the base camp. Very cozy, like a home. 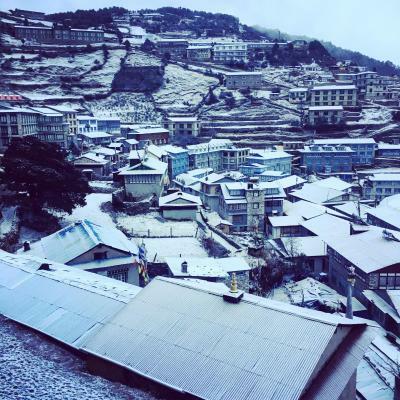 In the heart of Namche. I lived 4 nights, do not want to leave. 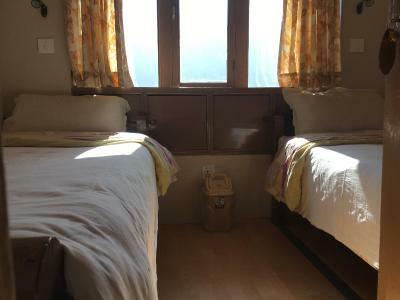 Good room with a huge bed and toilet. Thanks for all! 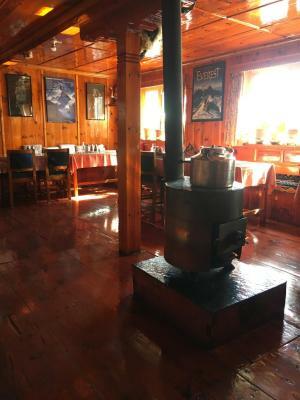 Cozy place with more than friendly staff. Pretty convenient location. First floor has beautiful wooden rooms. Upper deluxe rooms include private bathrooms. 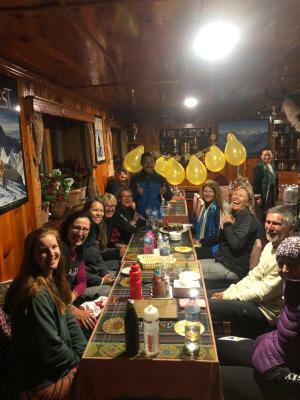 Dinning room was the best, most beautiful and quietest of the entire trek. Perfect for a relaxing experience after hours of hard work. Meals were excellent and very well presented!!! It was clean. The owner and family are so friendly and helpful and go out of their way to assist in any way possible. It was so amazing staying there. They really make you feel at home. The food and service was excellent. 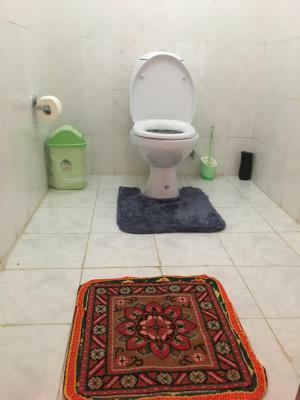 Very kind staff, good location, warm bedroom and hot shower available. 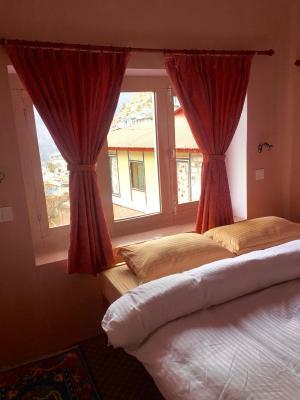 Featuring free WiFi, Hotel Khangri offers accommodations in Namche. 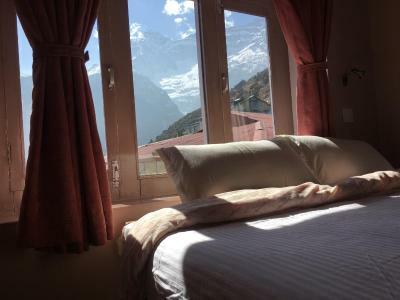 This property also has one of the top-rated locations in Namche! Guests are happier about it compared to other properties in the area. 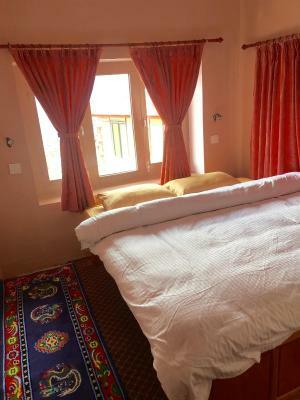 This property is also rated for the best value in Namche! Guests are getting more for their money when compared to other properties in this city. 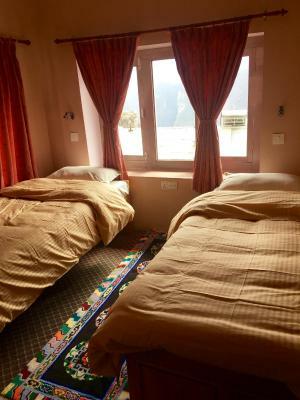 When would you like to stay at Hotel Khangri? 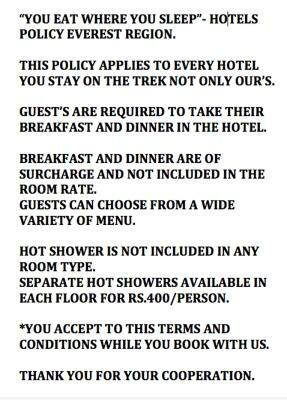 Please note that shower is at additional cost of NPR 400. Hot shower not available inside the room. 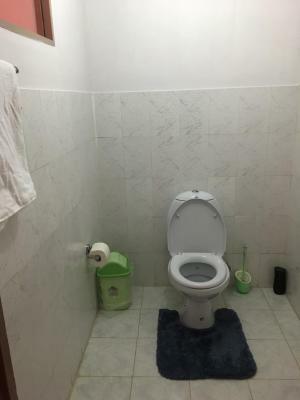 Room includes only a toilet and sink. Please note that shower is at additional cost of NPR 400. 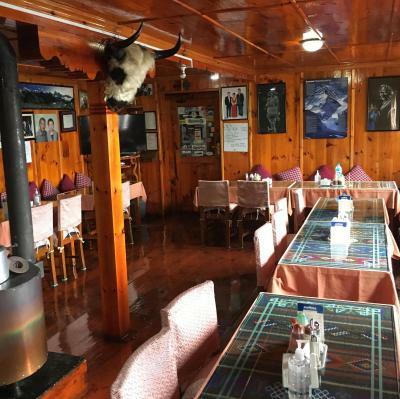 House Rules Hotel Khangri takes special requests – add in the next step! Hotel Khangri accepts these cards and reserves the right to temporarily hold an amount prior to arrival. 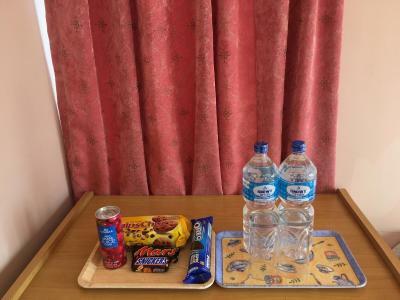 Please note that guests are required to take 2 meals per day at the hotel. Please inform Hotel Khangri of your expected arrival time in advance. You can use the Special Requests box when booking, or contact the property directly using the contact details in your confirmation. More like tips not anything wrong, since it was the same basically the entire trek to EBC, but bring your own soap, wet wipes and toilet paper. WiFi gets a bit spotty since it is the mountain still. The corridors get really really cold. Absolutely love the free WiFi except that connection in the rooms aren’t as strong as the dining hall. Rooms were surprisingly warmer than the corridor. Variety of food offered on the menu was a plus! We had hot shower and it felt so goood but make sure to bring your own hairdryer lest you’ll have to pay extra for that. 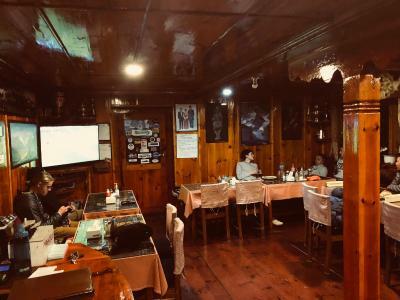 Food is sub standard and disappointing, we've eaten way better food at small family teahouses for a fraction of the cost. 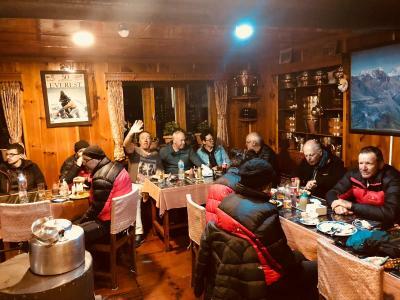 Fried rice was tasteless, chowmien (fried noodles) was cooked with spaghetti...for god's sake we're in Asia not Italy, I know we're in the mountains but how can spaghetti be more easily obtainable than proper noodles?! Most of the food choices are over priced and not worth it. 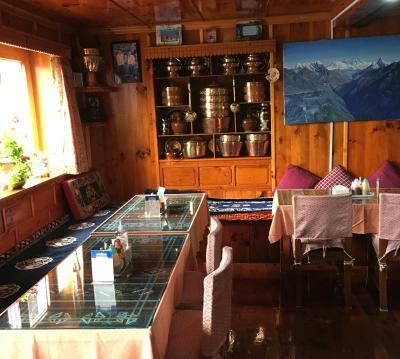 The hotel expects you to have breakfast and dinner there, so you might want to consider other accommodation options in namche. 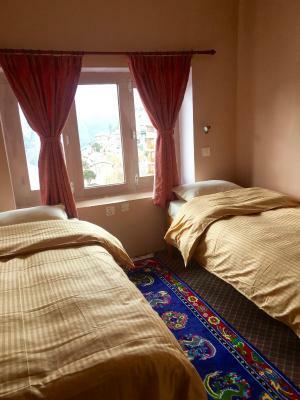 The rooms are pretty pricey too, other places probably allow you to stay for free and cook better, tastier and cheaper food. 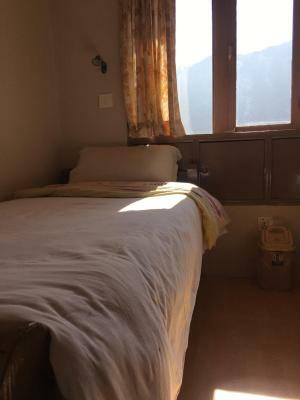 Warm rooms with charging point included, good view of mountains from window.